[This is part of my FIREPLACE MANTEL-103 series.] It’s big, it’s fancy, but it’s made from simple materials. Here’s the full inventory. [This is part of my ARCHWAY-101 series.] 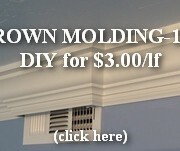 After installing the unwieldy arched casing, installing the flexible backband molding is easy. 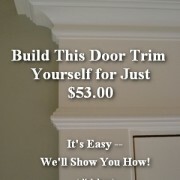 Not just because it’s a small, easy to handle piece, but because it is not pre-molded into a specific radius….